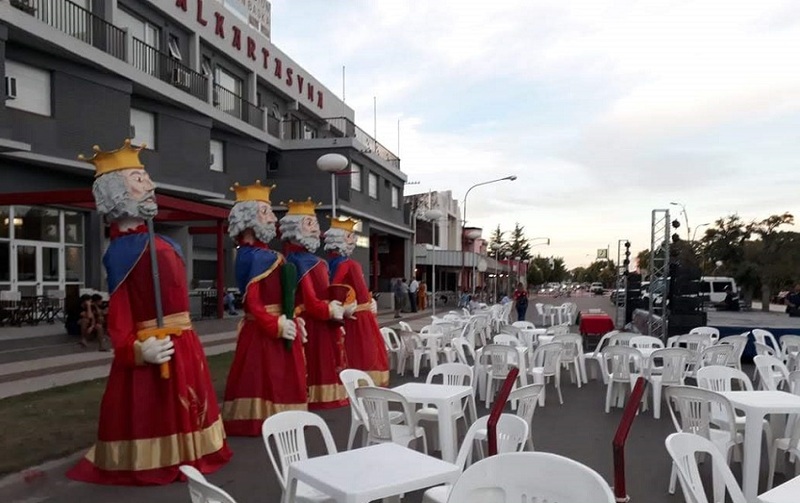 Macachín, Argentina. 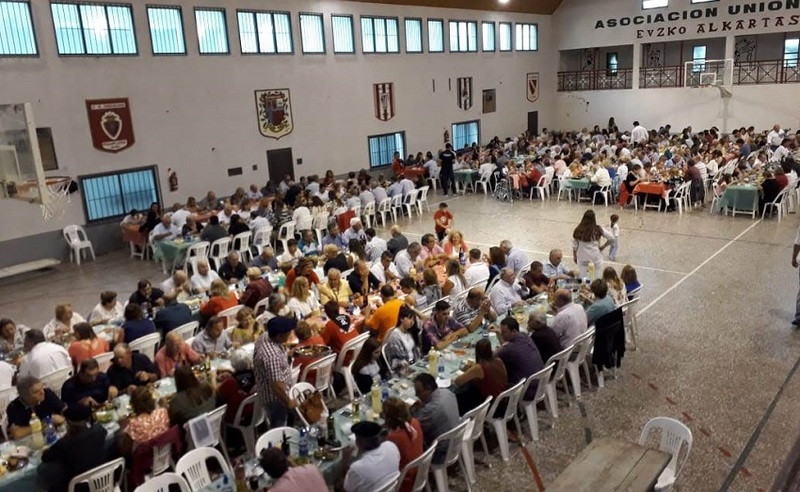 The first guests arrived on Friday afternoon, although the highlight of the celebration began on Saturday afternoon, when the regional Paleta Tournament “Euzko Alkartasuna 60th Anniversary Cup,” took place with the participation of pelotaris from Bahía Blanca, Coronel Pringles, Coronel Dorrego, General Pico and Macachín. The txapela went to the local pelotariak Cristian Gebel and Amilcar Cancina. The club’s 60th anniversary exhibit was also inaugurated that includes photos, videos and traditional clothing. 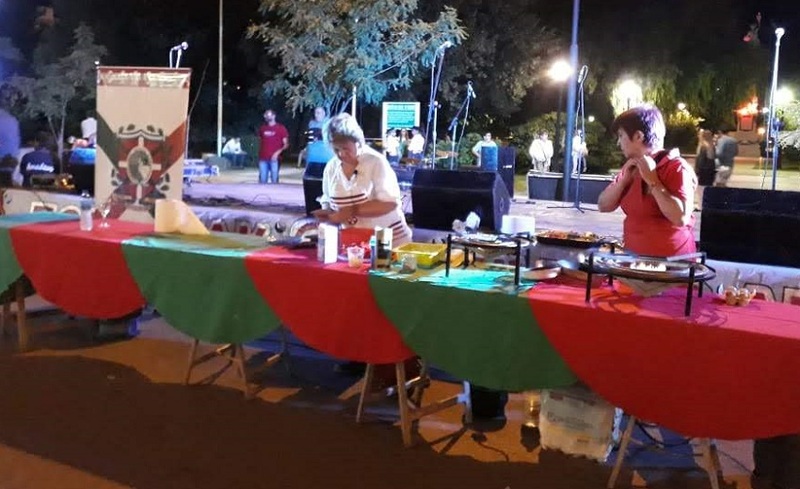 Around 7pm, the festivities took to the streets in front of the clubhouse where Arantza Soraluce, renowned cook, prepared piperade and omelettes that were later sold at food stands. There were also music and dance performances on stage, along with three bands and the Gure Ametza dancers and a local folklore group. On Sunday morning, there was mass followed by an event at the Tree of Gernika in the plaza. 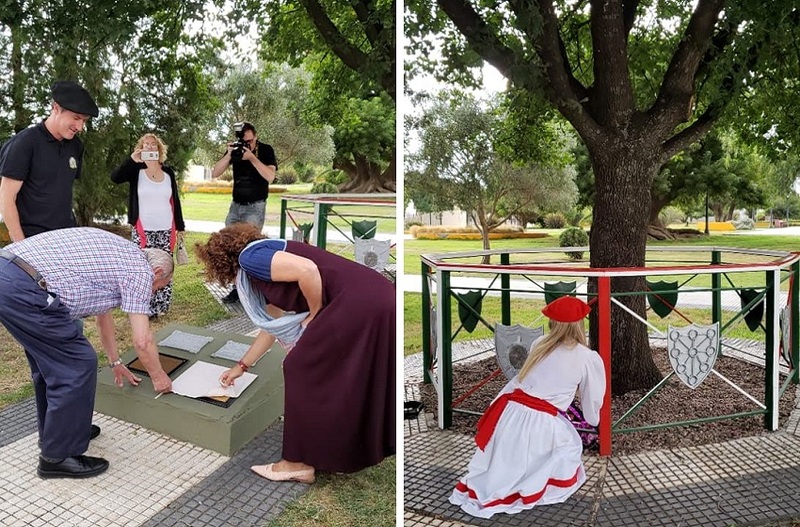 The delegate of Euskadi in Argentina, Sara Pagola, and the president of FEVA, Javier Ederra, arised the Ikurriña and the Argentine flag while a dantzari from Gure Ametza performed the Aurresku. Afterwards, a commemorative plaque was unveiled and a wreath was laid in tribute to the founding members. 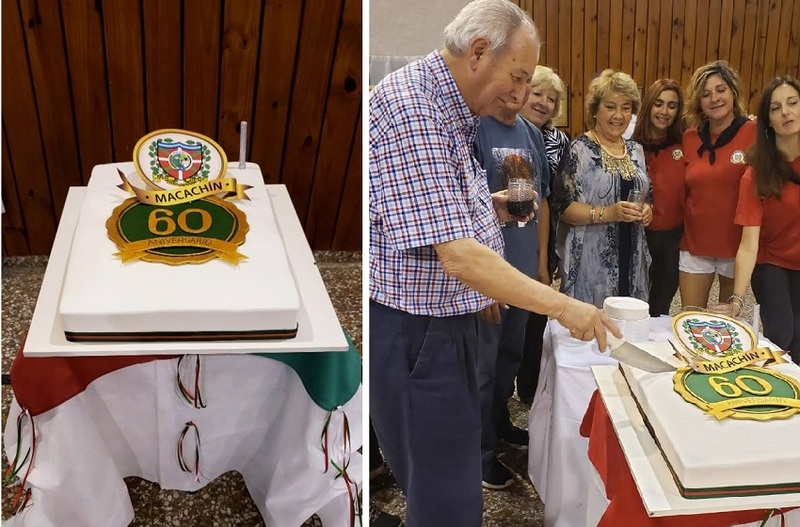 During lunch, with more than 400 diners, the hosts shared the history of the Basque club with its guests and presented certificates to those who have carried the name of the club at both national and international levels, to guest Basque clubs in attendance as well as to representatives from the Basque Government who also addressed those present. The festivities concluded with more dancing by the Gure Ametza dantzaris.